Sure, complex offensive actions are great, but Brad Stevens has gone back to basics with the Boston Celtics offense vs the Philadelphia 76ers. The Boston Celtics have now taken a 2-0 series lead over the Philadelphia 76ers by winning both games at the TD Garden in Boston. Most have been stunned by the Celtics recent success, as they have been winning without their star players in Gordon Hayward and Kyrie Irving. Jaylen Brown returned from injury for Game 2, which was a nice boost for the Celtics as they defeated the Philadelphia 76ers, 108-103. 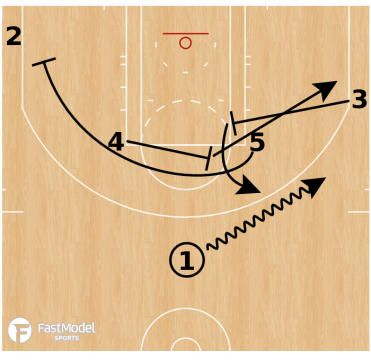 Everyone loves to diagram and talk about the great SLOB’s teams run in situational settings, or a half court set with a ton of action to them. The Celtics have been able to average 112.5 PPG against the 76ers, not because of any elaborate set or action, but by keeping it simple. Boston has decided to put Joel Embiid in middle ball screens with the floor spaced, and popping the 5 as opposed to rolling him to the rim. Embiid has struggled at showing on the ball screen and recovering back to Al Horford at the top of the key to play the jump shot or drive. Once Horford beats him off the bounce, it puts the entire Philly team in rotations, and the Celtics do a tremendous job of sharing the ball and trading potential good shots for great ones. Embiid then made the decision to show less on the ball handler so he could recover quicker to Horford. This gave Terry Rozier the ability to get to the rim to score, or forced Philly into more rotations. You can see in important moments of the game when the Celtics needed a basket, Coach Brad Stevens calling for the Celtics to slow it down and spread it out. Boston varied who was in the ball screen between Marcus Smart and Rozier for the most part, but it was always the 5-man setting that screen to force Embiid to cover the ball screen and the pop back to the top of the key. It will be interesting to see how the 76ers counter this simple yet efficient Celtics spread ball screen action as the series shifts to Philadelphia. 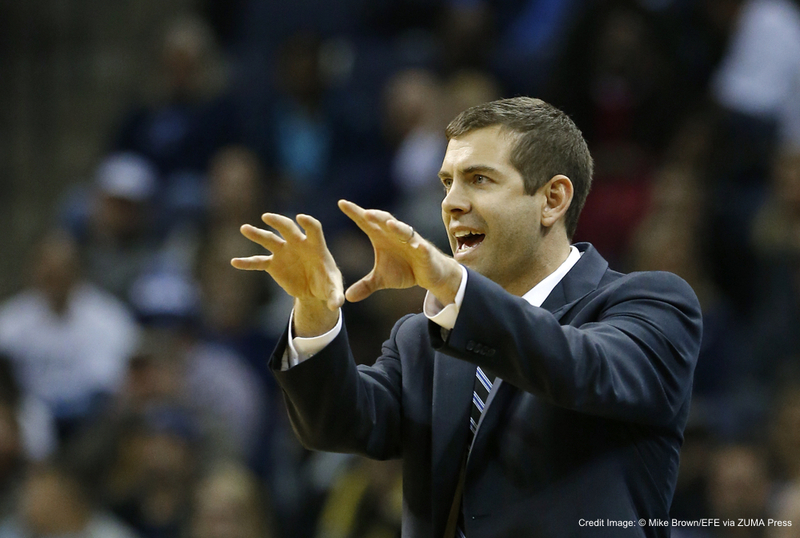 Check out more plays form Brad Stevens and the Boston Celtics on the FMS PlayBank. Kevin Bruinsma is in his fourth season with the Youngstown State men's basketball program and his second season as Assistant Coach after spending the previous two years as Director of Basketball Operations. Check out his submitted XsOs on the FMS PlayBank, and his YouTube channel for video clips.